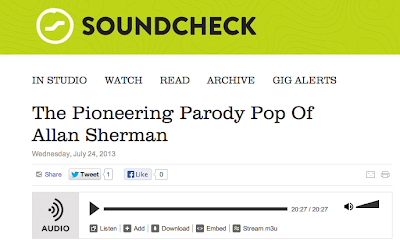 Allan Sherman: The Biography: Talking Sherman on WNYC Soundcheck! 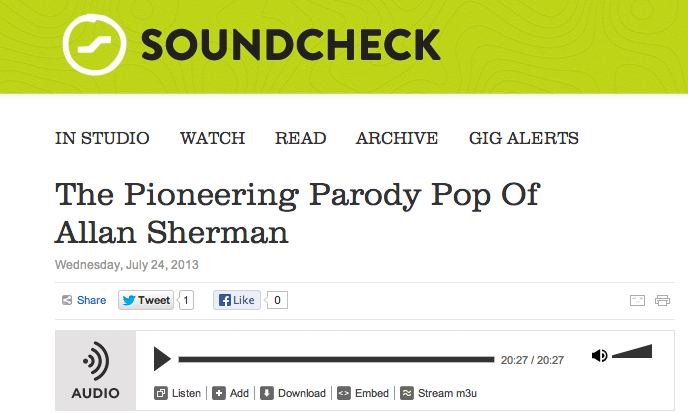 Talking Sherman on WNYC Soundcheck! Mark Cohen is a writer and speaker specializing in the Jewish American scene. He is the author of the new Not Bad for Delancey Street: The rise of Billy Rose (Brandeis U. Press, 2018). Copyright 2012, Mark Cohen. Simple theme. Powered by Blogger.